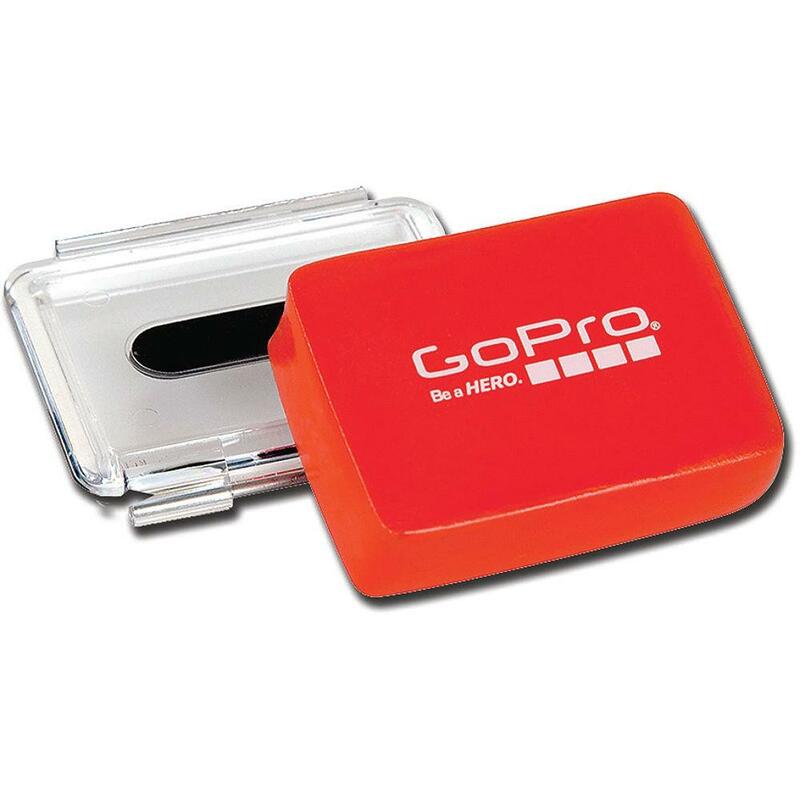 The GoPro Floaty Backdoor is compatible with all GoPro HERO3+ and HERO3 camera models. It enables your camera to float in water when it's encased in its waterproof housing. The Floaty Backdoor attaches to the backdoor of the waterproof housing with an adhesive anchor. A standard housing backdoor is included as well, so you can change out your existing one and keep that one in reserve for shooting on dry land. The Floaty Backdoor is ideal for watersports like surfing, snorkeling, wakeboarding and more. Plus, its bright orange color makes it easy to spot in the water for the times when your camera comes detached from your board or mount. Two camera tethers are also included for added security in extreme conditions.